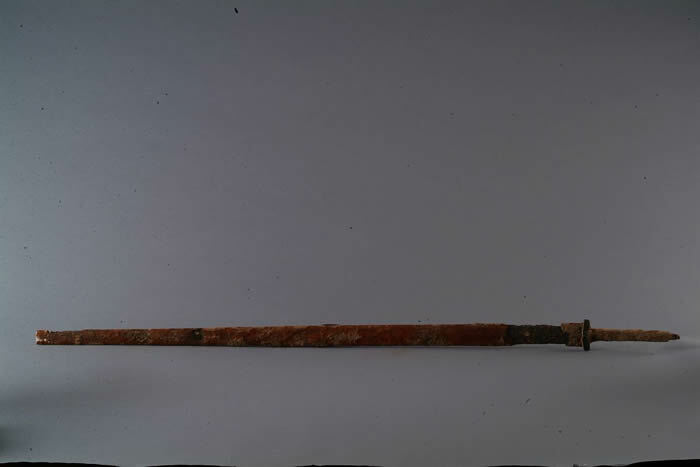 The Han Dynasty was very advanced in the making of weapons and the strategy they used during the time of war. The army was made up of over one million men. The army used swords, which were the preferred weapon of the military at the time. After making many advancements in iron casting, swords were much more durable. Consequently, the military was able to defend attacks from invaders at a higher success rate. Another weapon advancement was made as well in the traditional crossbow. It was made much more accurate and powerful. These technological advancements further enhanced the Chinese army during the Han Dynasty. Having a powerful army allowed the government and military to expand to many new lands, making their expansion one of the largest in Chinese history. Their expansion extended into southern China and northern Vietnam. They also expanded to parts of Korea in the north. 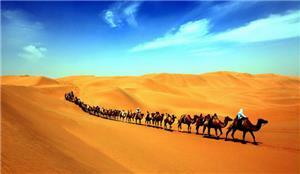 China also gained control of trade routes running north and south of the Taklimakan Desert in the west. However, they struggled to expand further in the southwest because of mountainous terrain and malaria. In the end, their expansion lead to greater economic stability for the Han Dynasty. Trade prospered during the Han Dynasty, resulting in many major trade innovations that later affected future Chinese dynasties. “The opening of the Silk Road was probably the major economic achievement of the Han Dynasty.” The Silk Road was an intertwining system of land and sea trade routes that connected Eastern China to as far west as the Mediterranean. Traders and merchants used these routes to buy and sell goods across Europe and Asia. This lead to economic prosperity and cultural exchange for the Empire. Merchants traded goods popular in China, such as silk and gold, for wine, spices, woolen fabrics, grapes, pomegranates, sesame, broad beans, and alfalfa. Merchants at the time of the Han Dynasty greatly benefited from the opening of the Silk Road. The Han Dynasty was one of the greatest Chinese dynasties. The Han Dynasty was split into two time periods: the Western Han Dynasty (206 B.C. - 9 A.D.) and the Eastern Han Dynasty (25 A.D. - 220 A.D.) During these time periods, many of the emperors made innovations and changes that would last forever. The military, commanded by the emperors, expanded to many neighboring regions allowing economic growth and prosperity as well as opening up new trade routes. The people of the Han Dynasty were very advanced in the way they interacted with the countries and empires in the surrounding area. 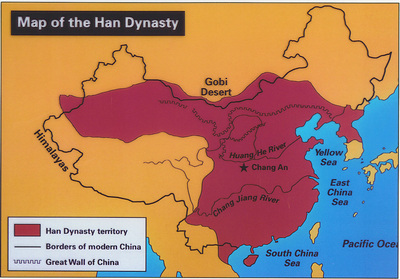 As a result, the Han Dynasty expanded and traded with foreign countries all over Europe and Asia. All historical evidence points to the idea that the Han Dynasty made one of the biggest impacts on military, expansion, and trade of all the Chinese dynasties that came before and to come. The Han Dynasty had one of the biggest influences on Chinese history. By investigating military, expansion, and trade, we can conclude that the Han Dynasty was one of the most advanced Chinese dynasties in history. It lasted for over 400 years and made many big impacts on Chinese culture and society. "China History." ChinaHighlights. Accessed November 23, 2014. http://www.chinahighlights.com/travelguide/culture/china-history.htm. "The Chinese Han Dynasty Military: Warfare, Army & Weapons." Totally History Han Dynasty Military Comments. Accessed November 14, 2014. http://totallyhistory.com/han-dynasty-military/. "Han Dynasty." Ancient History Encyclopedia. Accessed November 13, 2014. http://www.ancient.eu/Han_Dynasty/. "Han Dynasty China and Imperial Rome, 300 BCE–300 CE." Chapter 7:. Accessed November 15, 2014. http://www.wwnorton.com/college/history/worlds-together-worlds-apart3/ch/07/summary.aspx. 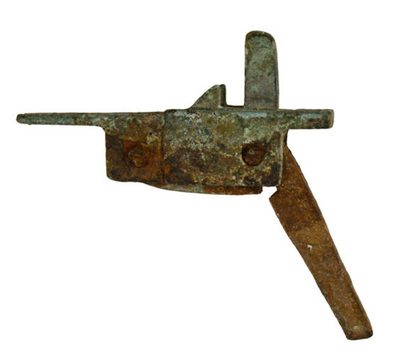 "Han Dynasty Inlaid Bronze Crossbow Mechanism - For Sale." Blogantiquescom RSS. Accessed November 23, 2014. http://www.antiques.com/classified/Antiquities/Ancient-Asian/Han-Dynasty-Inlaid-Bronze-Crossbow-Mechanism. "Heilbrunn Timeline of Art History." Han Dynasty (206 B.C.–220 A.D.). Accessed November 14, 2014. http://www.metmuseum.org/toah/hd/hand/hd_hand.htm. "THE HAN DYNASTY [ 206 BC – 220 AD ]." China Mike RSS. Accessed November 23, 2014. http://www.china-mike.com/chinese-history-timeline/part-4-han-dynasty/. "汉阳陵博物馆." 汉阳陵博物馆. Accessed November 19, 2014. http://www.hylae.com/en/weapon.asp.